So i own a 2016 CLA with the CD20 infotainment without the smartphone integration(at the time only apple was supported so did not need it). However i would like to use Android Auto now that it's available. Does anyone have an idea of what it would cost me to buy the Smartphone intergration and if its all i need for it to work? OR would i also need the command online thing? Also is this the smartphone integration below? i could not find it on my purchase bill but found a similar item online which was named smartphone integration, this i have atm. Last edited by Pixelhouse; 02-25-2017 at 04:42 AM. I have the Garmin Map Pilot as installed on it(on a card in its slot). Would that be the version you are talking about? Did you install the kit yourself? If so is it difficult and where did you pruchase it? Last edited by Pixelhouse; 02-25-2017 at 09:10 AM. Make sure you have Navigation and Command System NTG5.0. (means you have navigation built-into your car audio/video. Having only Audio 20 means you can only do radio, and no access to a biult-in navigation system). Go to the Dealer and request info on an official MB carplay retrofit kit for vehicles that didn't come with it. The kit should cost only about USD100-150. Labour to install only 1-1.5 hrs. My dealer only charged me $100.00 to install, although it took him more than 5 hours to do it. I suggest you have the dealer work it out, as they have to upload new firmware and update the related system software to ensure seamless connection to carplay and Android auto. Can this be done with the first 2014 models with Multi-Media Package which includes OEM navi and Command system? Though I did see some early 2015 NTG5.0 heads getting some update to accept the new signaling too. Thought I'll share this: I've been looking through these forums about retrofitting the android auto/carplay kit and went to the dealer today (in Cambridge, MA). He said yes, it can be done. They just didn't have the part/software but they put in an order and told me they should have it around Tuesday next week. They said it costs $95 and then there is the service charge for installation etc (the guy said its around $150 or something). Will keep you all posted next week about how it goes. I assume you have the navigation COMMAND system right? Folks with only Audio20 will not have this option to retrofit. 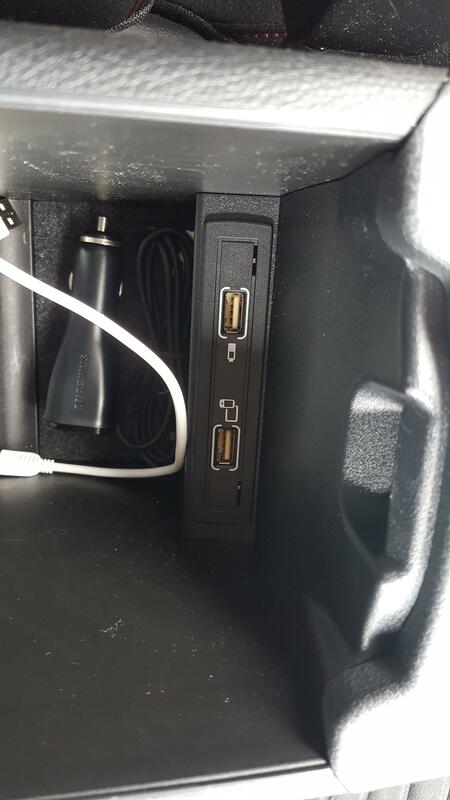 An update: so I'm at the dealer and they figured that my car already had the smartphone integration kit (USB module etc) with the same part number as the one shared by another member (dhc6fixer) here in another thread. Though I didn't get the smartphone integration package (my car had just the premium package). So the part they ordered and received from Germany is the same as the one already in my car. Now the problem is, as others experienced, the dealer or service techs have no idea and this is the first time someone has requested them to do this (Mercedes Benz dealer in Somerville MA). What they are missing is the software installation and activation codes. Though I don't know why they didn't ask for it when placing a request for the smartphone kit in the first place. Anyways, the service specialist said they are going to ask Mercedes Germany for the software installation codes and then they just need to code it in the "vdoc" of something (Sorry I'm not a car technical expert) and activate the software and integrate the smartphone feature. They said they don't even need to install the new module because it's the same as the one I already have. They want me to bring the car in once they have the codes which they are going to request right away from Mercedes Germany. They're going to give me an update tomorrow on the status. I'll keep you all posted with any updates.